Exterior Hardwood Georgia doors are a popular range of traditionally styled doors. 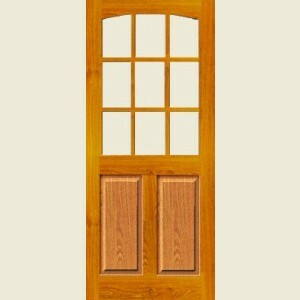 This range of Georgia doors are manufactured from premium quality Hardwood with engineered components for greater stability and a sturdy mortice and tenon construction. This range of Georgia doors are available unglazed or pre-glazed with a choice of clear or Obscure double glazing, and unfinished for maximum flexibility. This range of Georgia MT doors offer exceptional value for money with out compromising on quality and can be painted or stained in a wide range of finishes. Georgia Hardwood doors are Part L compliant and suitable for most refurbishment projects. Georgia doors are available in popular imperial sizes from 2'6" to 2'9" and the range includes Part M compliant mobility doors.